The last thing needed by anyone hoping to rent in this very tight Boston Beacon Hill rental market is an eviction on their record. So how long will an eviction follow a non-performing tenant? Seven years. After that time, evictions are deleted from public records, credit report and rental history. That seven years, though, can be hell because many/most landlords will immediately refuse to rent to anyone who has been evicted. And in the Boston Beacon Hill apartment rental market, why would property owner or manager want to lease to a former evictee when there are many others with clean references wanting to rent a given property as well? You may wonder if evictions will show up on rental background checks? The answer is YES. And in order to determine tenant liability, the vast majority of property owners and managers will pull background checks on all applicants. The internet has made this checking process much easier and faster than in prior years. 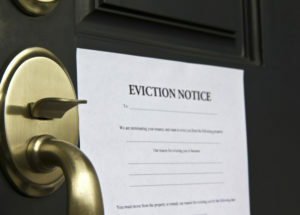 So what’s someone to do if they have an eviction on their record? They might plea with next owner, offer to pay much higher rent (in advance), a larger deposit, or move into cheaper neighborhood or project that accepts weekly rents. Or, you may be able to find a co-signer, offer solid employment proof and include a cover letter with your application. There is no guarantee, though, with current market conditions where even solid applicants with clean records are struggling to find good rentals. Finally, is it possible to get an eviction expunged from court records? It is an expensive possibility that will require compensation to prior landlord, attorney and filing fees. You will have to file a motion to get the expungement, but there is absolutely no guarantee of success. Never, ever go so far that you get an eviction on your record. You are better off abandoning the property and renting elsewhere as soon as possible–while you can. Click here to view Beacon Hill apartments for rent.